Are we deranged? 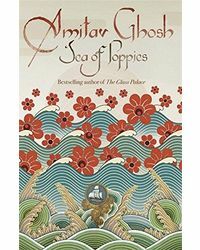 One of India's greatest writers, Amitav Ghosh, argues that future generations may well think so. How else can we explain our imaginative failure in the face of global warming? In this groundbreaking return to non-fiction, Ghosh examines our inability at the level of literature, history and politics to grasp the scale and violence of climate change. The extreme nature of today's climate events makes them peculiarly resistant to the contemporary imagination. In fiction, hundred-year storms and freakish tornadoes simply feel too improbable for the novel and are automatically consigned to other genres. In the writing of history, too, the climate crisis has sometimes led to gross simplifications. Ghosh suggests that politics, much like literature, has become a matter of personal moral reckoning rather than an arena of collective action. But to limit culture and politics to individual moral adventure comes at a great cost. The climate crisis asks us to imagine other forms of human existence a task to which fiction, Ghosh argues, is the best suited of all forms. The Great Derangement serves as a brilliant writer's summons to confront the most urgent task of our time. Are we deranged? 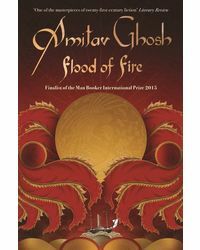 One of India's greatest writers, Amitav Ghosh, argues that future generations may well think so. How else can we explain our imaginative failure in the face of global warming? 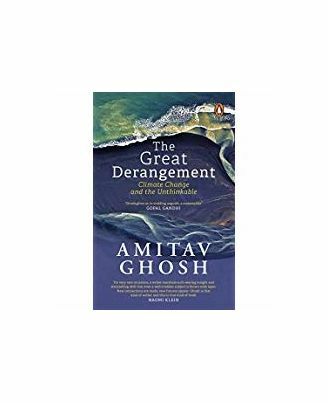 In this groundbreaking return to non-fiction, Ghosh examines our inability at the level of literature, history and politics to grasp the scale and violence of climate change. The extreme nature of today's climate events makes them peculiarly resistant to the contemporary imagination. In fiction, hundred-year storms and freakish tornadoes simply feel too improbable for the novel and are automatically consigned to other genres. In the writing of history, too, the climate crisis has sometimes led to gross simplifications. Ghosh suggests that politics, much like literature, has become a matter of personal moral reckoning rather than an arena of collective action. But to limit culture and politics to individual moral adventure comes at a great cost. The climate crisis asks us to imagine other forms of human existence a task to which fiction, Ghosh argues, is the best suited of all forms. The Great Derangement serves as a brilliant writer's summons to confront the most urgent task of our time.